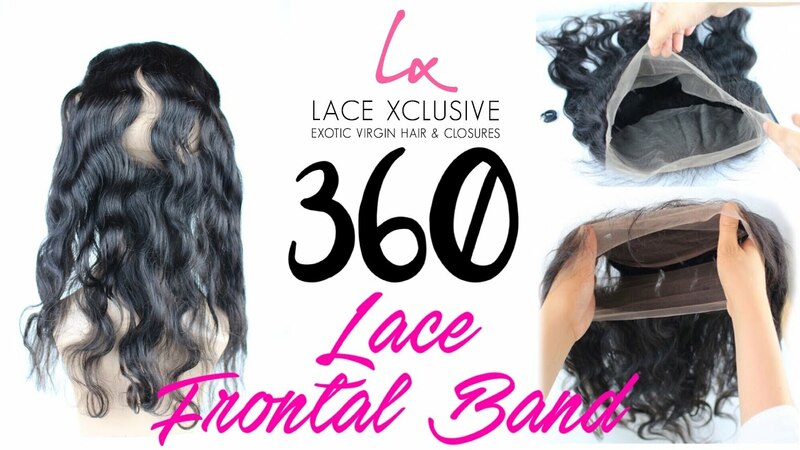 Many are curious as to what a 360 Lace Frontal Band is and how to use it. Many use the 360 Lace Frontal Band to create a flawless seamless hairline which can also be styled with a high ponytail in the back. It is 22" x 4" with baby hair around the perimeter. Purchase your 360 Lace frontal today online at www.lacexclusive.com or call (866) 491-2720.